Sleep is as important as food and water for a person to survive. We spend almost 33 percent of our day sleeping. Hence, it is imperative that we have the best sleep possible, and have a peaceful and rejuvenating break from our hectic schedules. In figuring out how to sleep better, we need to find the best mattress available by researching mattress reviews and finding the one best suited to our personal needs. 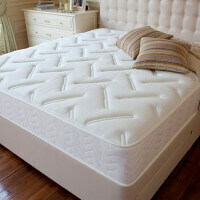 While browsing mattress reviews we need to keep five important points in mind in order to attain the best sleep possible.